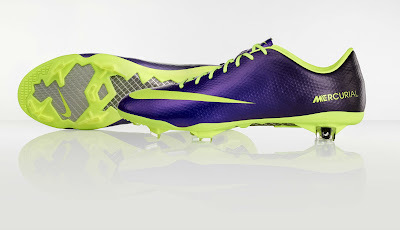 The objective of this new range of football boots from Nike is to enhance the visibility of them on the field. 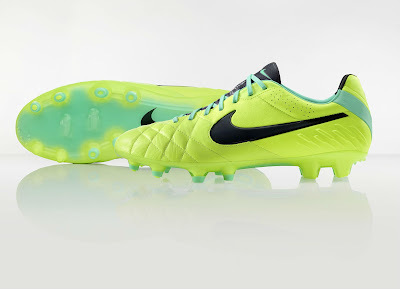 "When creating the Hi-Vis Collection we looked at our work in South Africa during the summer of 2010 (FIFA World Cup)," says Phil McCartney, Vice President, Nike Football Footwear in a media release introducing the latest range by the sporting giants. He added:"The Metallic Purple and Total Orange color combination we used on-pitch really stood out both on the field for players and for the crowds in the stadium and at home." 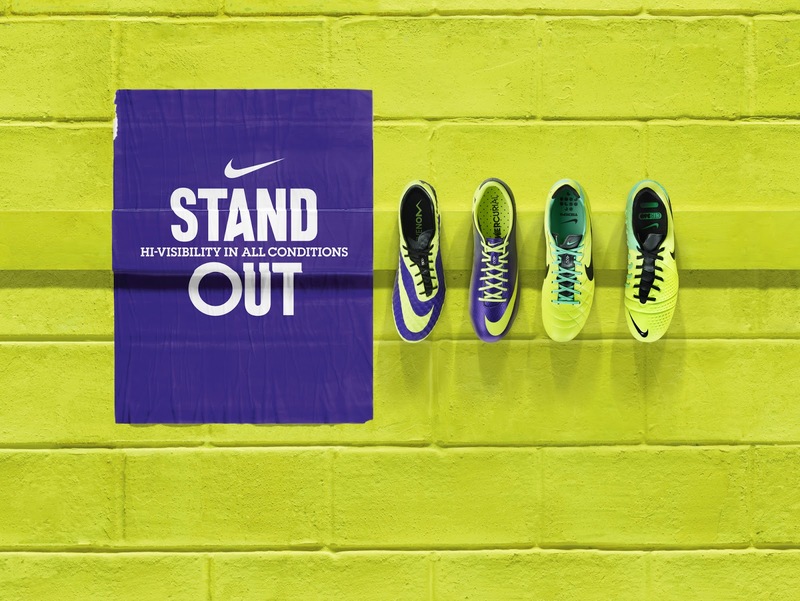 For almost ten years, scientific color insights have been used in the creation of Nike footballs and football boots, and elements of this visual acuity research were taken and enhanced for the Hi-Vis Collection. As winter approaches and condition on-pitch change, visibility can become a key element of any match. "If a player can get that flash of color in the periphery, and see a teammate make a run, that could be the small difference between timing the pass perfectly or not taking advantage - that's the sort of moment that can change the course of a game at the top level." explained McCartney. For the Nike Football Hi-Vis Collection, the Nike Hypervenom and Mercurial Vapor IX come in a combination of Electro Purple and Volt with black detailing. The Tiempo IV and CTR360 come in a mix of Volt, Green Glow and Electric Green with black detailing.